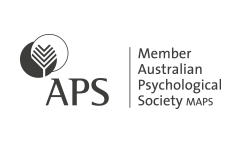 Psychometric testing at Walters Green Clinical Psychology Practice is available for individuals who require an assessment of intellectual functioning, memory functioning, and/or learning difficulties. Testing usually occurs over two sessions. In the initial session, the Psychologist will gather detailed information regarding the nature of the problem. In the second session, standardised psychometric tests will be administered. A further feedback session along with a summary report is provided to the individual/parent and school if required. Cognitive assessments are used to determine the presence of any learning or memory problems, for example for a student who is believed to be underperforming, or having difficulty keeping up with peers. Assessments will be conducted on Saturday mornings at our Clayfield Practice. Please contact Reception (3262 5903) for bookings and/or enquiries.